Poret® is available in a wide range of dimensions, colours and versions including blocks, roll-form material, sheet stock, cut-to-size elements, punched parts or other custom products fabricated to your specifications. In addition we offer an activated-carbon impregnated grade: Poret®Carbon. Rounding out our portfolio are specially designed versions Poret®aqua for wastewater treatment and Poret® air for exhaust air treatment. 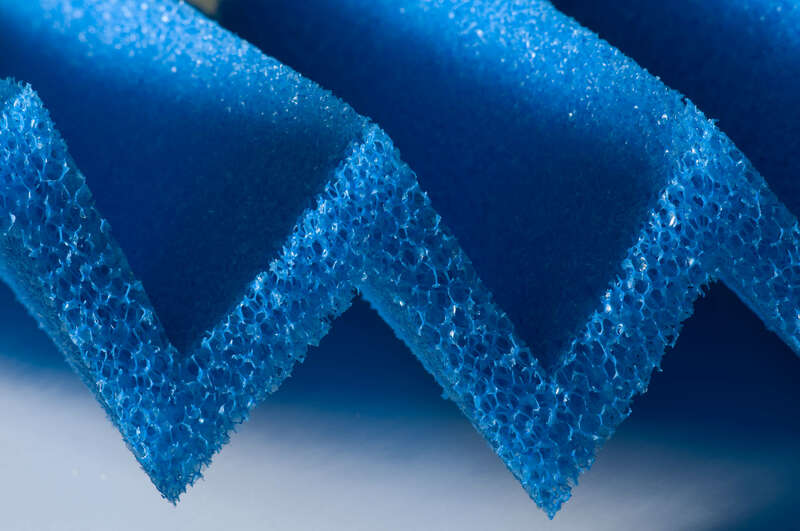 Poret® is an open-cell polyurethane-based foam. Polyurethane, a polymer developed by German industrial chemist Dr. Otto Bayer in the 1930's, is available today in refined versions including polyester und polyether foams. 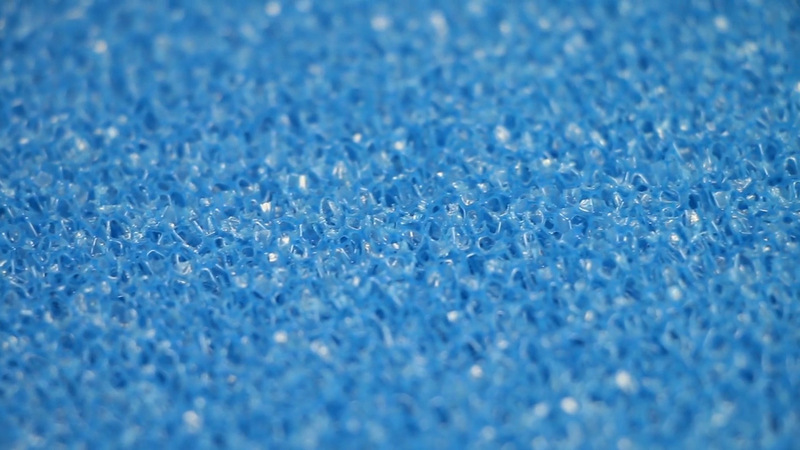 Virtually unaffected by contact with water, polyether foams are ideal for filtration in fishkeeping ponds, aquariums, wastewater treatment facilities etc. 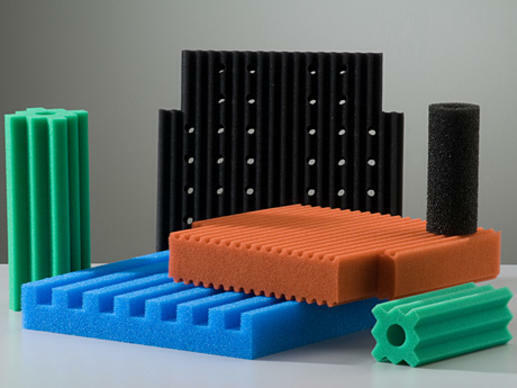 EMW® converts closed-cell foams to open-cell foams using time-proven reticulation technologies. The pore density of filter foams is expressed in the units pores per inch (PPI). Poret® is available in a broad range of pore densities including PPI 10, PPI 20, PPI 25, PPI 30, PPI 45, PPI 60 and PPI 80. Pore density is a determining factor for the effective surface area and permeability of filter media. 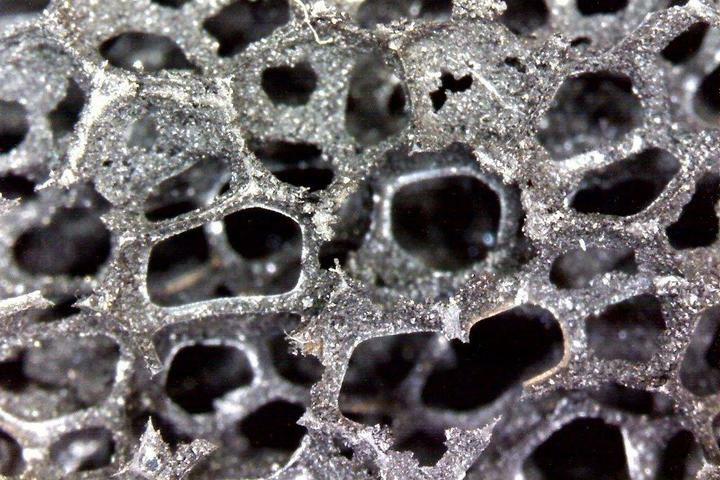 Filter foams are not all alike. Seemingly minor differences in formulation, dimensions, and pore characteristics can make or break filter performance. Success is ensured only if the properties of the foam selected are in exact accordance with the application and filtration task at hand. Come to EMW® – for quality you can trust. Our expertise is yours to profit from. Net density, expressed in kg/m³, is the weight of the foam product taking up a given volume. 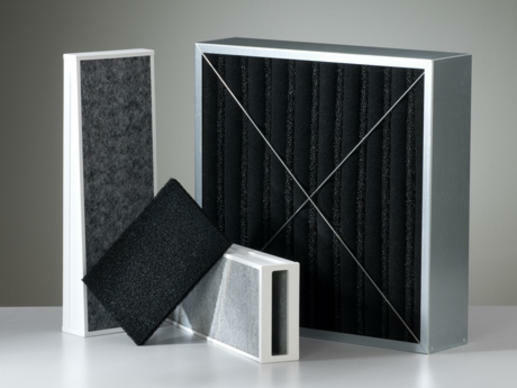 It is a key quality characteristic of filter foams. 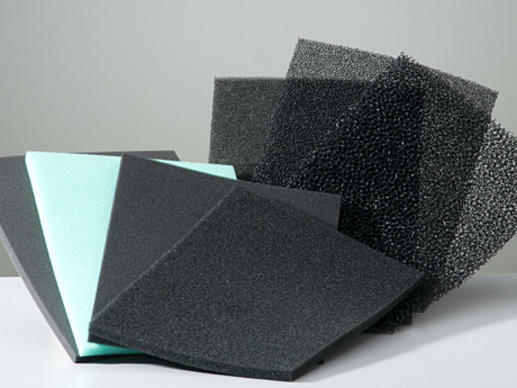 High-density foams are stronger and more stable than lower-density foams. The compression strength of a foam material is the amount of stress required to compress the material a predefined percentage, e.g. 40%, of its original thickness. 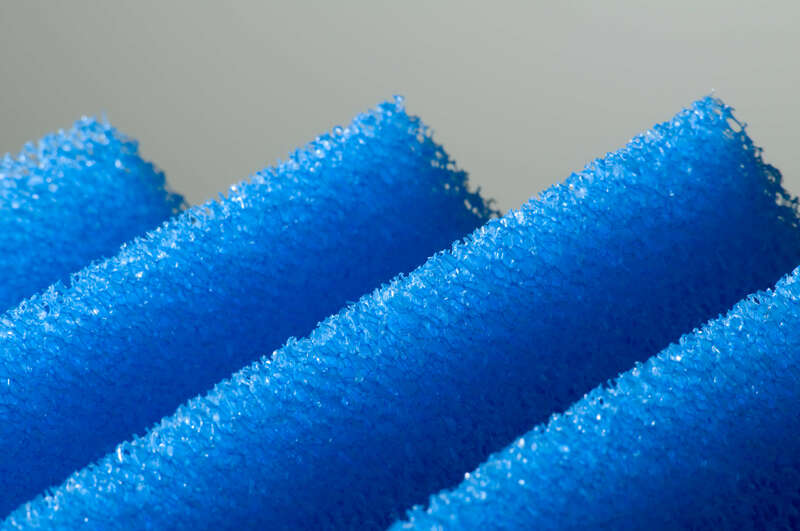 A filter foam with low compressive modulus is softer and more pliable than one with high compressive strength. Elongation at break is a measure of a material's deformation capability. It is determined in tensile testing, i.e. stretching a material sample under controlled conditions until it breaks. Elongation at break is the elongation, expressed as a percentage of the original sample length, at which breakage occurs. Tensile strength is another characteristic determined in tensile testing. The material sample is stretched until it breaks; the stress at which breakage occurs is the tensile strength of the material. Available in pore densities ranging from PPI 10 to PPI 80 (pores per inch). Available in pore densities ranging from PPI 10 to PPI 60 (pores per inch). 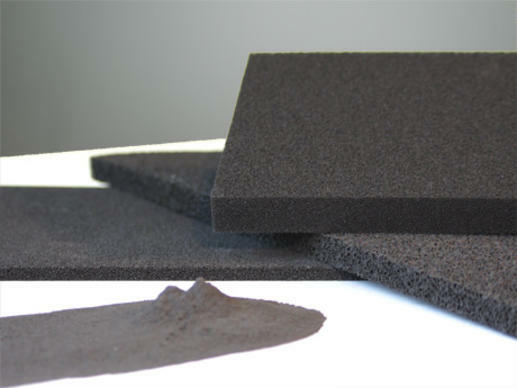 Activated-carbon foam, provides optimum combination of filtration and adsorption!